Most people think opera is outdated. I beg to differ. My belief does not only stem from the fact that I sing opera, but also historical and modern events. I mean, is it a coincidence that whenever a country obtains a certain degree of wealth, it constructs an opera house? Historically-speaking, opera was an early cultural import of European colonizers as they settled across the world. Interestingly, the precedent for opera has not only continued, but flourished, in these areas of the world. For example, South Africa boasts not one, but two, opera companies. Both India and Vietnam feature beautiful opera houses, remnants from its history of colonization. However, we can also see the relationship of opera and wealth in the modern day, exemplified by the rise of both opera and opera houses in China. The National Center for Performing Artsin Beijing hosted its first ever western-style opera festival in 2009. Moreover, China boasts two other modern opera houses in Shanghai and Guangzhou, the latter whose opening in 2010 marked the end of a 202 million USD construction process. While I knew a good deal about operatic communities elsewhere, I had very little knowledge of opera in the Middle East. 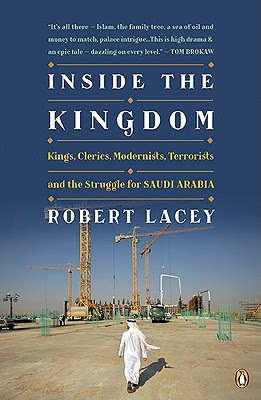 When I got Robert Lacey’s book, “Inside the Kingdom: Kings, Clerics, Terrorists, and the Strugglefor Saudi Arabia,” I had no expectations that opera would be mentioned – and was subsequently interested to discover that “[Fahd, the Crown Prince] liked to joke with European friends that he would one day commission the construction of a grand national opera house in Riyadh, in which Aida would be performed with not one, but ten elephants” (page 38.) This book is very interesting in that it details Saudi Arabia’s recent acquisition of wealth – as well as the gains and the consequences of this newly-found wealth. This book makes so many connections between concepts, that I am afraid that I will not do it justice in my blog post. The purpose of the book is to describe the political, social, and economic reasons for Islamic radicalism in Saudi Arabia – the home country of not only Osama bin Laden, but also 15 out of the 17 plane hijackers on 9/11. Throughout recent history, the relationship between Saudi Arabia and the United States has been a relatively strong and productive one, as described in Chapter 8. In the midst of the Cold War, Saudi Arabia engaged in operations to hinder the spread of Soviet influence alongside the United States (perhaps most famously offering Afghanistan support for its jihad following Soviet invasion.) Saudi Prince Turki stated, “We saw it as our job to fight against Soviet atheism wherever it might threaten” (page 66.) An American company provided much-needed financial resources to the Saudi government during the worldwide economic depression of the 1930s, for the rights for oil. The United States provided assistance to Kuwait and Saudi Arabia during Desert Storm (following Sadam Hussein’s invasion) – a meaningful act, as countries like Egypt and Jordan did not provide support. Disagreements have often arisen over the issue of Israel/Palestine. However, shortly before 9/11 occurred, the king has successfully lobbied for then-president George W. Bush to support a “2 state solution” – the first U.S. president to do so publicly. Following 9/11, however, the attention of the United States in the Middle East turned to the elimination of terrorism. Monarchy’s Relationship with Religion: Saudi Arabia is run by a monarchy. 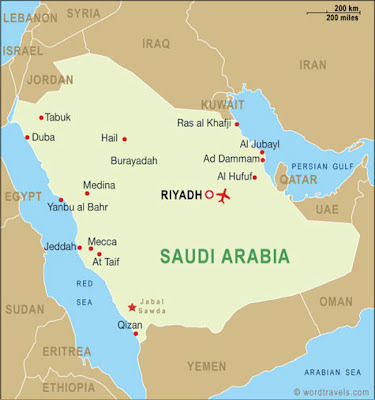 In fact, “Saudi Arabia” actually stands for the Arabia of the House of Saud. Due to this, there are no democratic elections for high officials – all are appointed. There have been reports that the ruling family recognizes that if democratic elections were to be implemented, the religious establishment would gain considerable control. Anticipating this, Saudi Arabia has tried to encompass the demands and the beliefs of the religious establishment – creating a society that is very conservative by Western standards. Islam and Education: To appease the religious establishment, Islam has become a key component in child education. The author notes that many Islamic clergy were even threatened by the increased use of the English language, thinking that students might believe that it was more important than the language of Arabic, the language in which Muhammad dictated the Koran. Many believe that this increased emphasis in Islam has not only led to students not having the skills to take advantage of opportunities in a modern economy, but also to put a higher emphasis on religion – perhaps leading to more radicalism. Economic Boom from Oil: This led to more money invested in the healthcare system – leading to a rise in the birth rate. However, as the price of oil began to fall, there were less employment opportunities for these young people. Lacking the skills to take advantage of opportunities abroad, many young men became unemployed. Being unemployed, they are unable to pay the family of their future wives in order to start families of their own. Thus, the growing numbers of single, unemployed men lacking the necessary skills has also been attributed to the rise of radicalism. Thank you for your encouragement...haha As you well know, I can become quite resentful.